OAKBROOK TERRACE, Ill. -- It was an evolutionary year for c-store foodservice. QuikTrip continued rollout of its QT Kitchens made-to-order program, and RaceTrac likewise stretched its made-to-order capabilities with its pizza and burrito prototypes. Sheetz and Mapco both refreshed their coffee programs with an emphasis on high-quality beans and infinity-level customization capabilities. CST Brands brought Nice N Easy Grocery Shoppes’ foodservice menu—and culture—to its new store concept, and Casey’s added mobile ordering to its already-on-point pizza program. 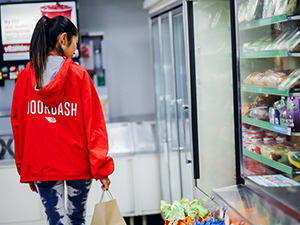 While c-stores evolved, so too did the greater foodservice industry, harnessing some major cultural disruptors for its own evolution while also riding the waves of regulation and consumer engagement. Read on for five big game-changers in 2015. The tech world is teeming with startups aimed at offering delivery for any restaurant willing to sign up. Some are even delivering convenience-store packaged goods. For example, 7-Eleven has partnered with DoorDash, Tapingo and Postmates for delivery. And as Starbucks is proving with its own delivery pilots, no offering is too small—even a cup of coffee. These companies promise convenience for not just the consumer but also the operator—who need not build his or her own delivery infrastructure. Will c-stores harness the trend? By the start of 2015, most large convenience-store chains had already begun preparations for menu-labeling compliance. Others bided their time and hedged their bets, hoping the rules might change for c-stores. Their wish wasn’t granted, but they did get another year to comply. Meanwhile, New York City got back on its soapbox with a new regulation requiring chains with 15 or more locations to post a salt shaker icons next to items with 2,300 milligrams or more of sodium. New York’s early adoption of menu regulations has some analysts predicting salt labeling could spread beyond the boroughs. 3. Clean Foods Drive Priorities—But What’s Next? It may not have affected convenience-store foodservice yet, but the restaurant industry’s focus on clean and humanely raised ingredients dominated many operator to-do lists. Panera continues its quest to remove all “no-no” artificial ingredients from its menu by the end of 2016; Subway pledged to remove antibiotics from its meat supply; and McDonald’s and Dunkin’ Donuts made plans to move to cage-free eggs. Prediction: This conversation will move from press releases to a real analysis of what it means from a cost and food-safety point of view. Mobile payment, souped-up loyalty programs, at-pump ordering, connected cooking equipment: Technology is greatly changing the foodservice game. According to an NCR study conducted earlier this year, 67% of restaurant owners and managers said that technology has a direct impact on increased revenue, and 35% are more dependent on tech tools than they were just a year ago. The risk: Investing in something your customers won’t use. Among all of the menu trends of 2015, one was the most, well, burning: spicy foods. Sriracha started the year on top of most prognosticators’ trend lists, and by midyear those same people were on the hunt for the next spicy ingredient to take hold, be it Korean gochujang, North African harissa, or Southeast Asian sambal. Meanwhile, operators, suppliers and consumers alike continue to douse nearly everything edible with the sauce that started it all.